Victory Pest Solutions | NY NJ Commercial Pest Control | Why Victory? Victory Pest Solutions has earned the business of some of the best-known brands within the food and beverage, hospitality and healthcare industries. And here’s why. We listen to our clients’ needs and match them with custom tailored programs of enhanced maintenance concepts and inspection reports that detail proactive measures for preventing pest entry and infestation. We also offer free in-services for staff on how they can impact pest control through proper food handling, storage and disposal. We consider what we do to be far more than pest control. We are consultants for the well being of your business. 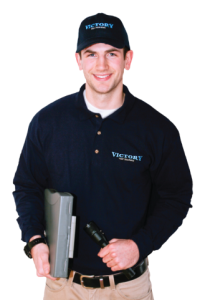 Victory Pest Solutions is the provider of choice for high profile hotel chains, restaurants, country clubs, hospitals, shopping malls, and nursing homes throughout New York and New Jersey, because these businesses recognize quality when they see it. We are professionals through and through, offering services you won’t find at just any pest control company. Late night, early morning and weekend services. Having a regulatory inspection? We will gladly join you with all details of your pest program documented.